This post is sponsored by NewAir. All opinions are my own. 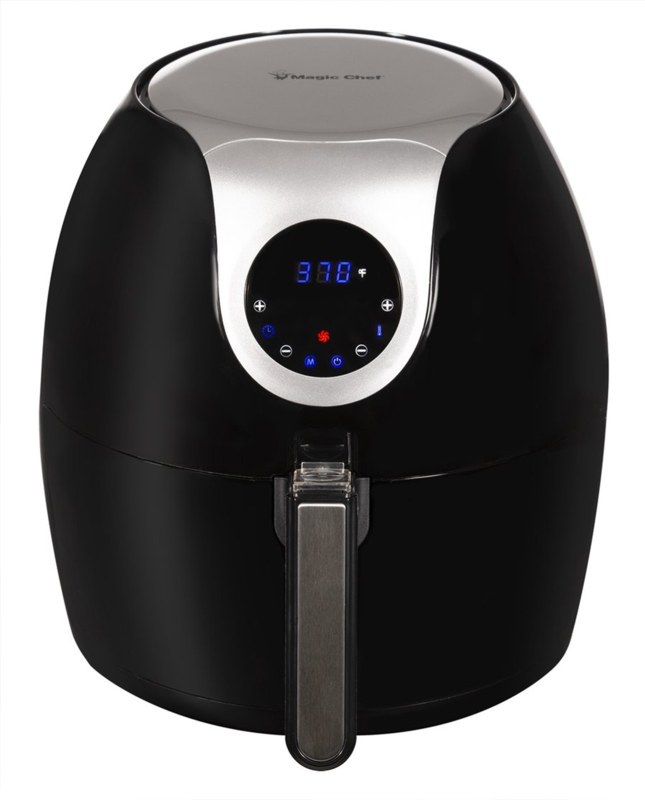 When I received this air fryer, I was so excited! I kept seeing all the amazing recipes you can make in these and was eager to try out a few. I can see this replacing my oven, especially during the hot summer months. Why heat up the house when I can cook everything in the air fryer? Plus, it doesn’t take much time at all! What I like about the Magic Chef Digital XL Air Fryer is that it has room to feed a crowd. The fry basket is large, so you don’t have to worry about making multiple batches. Select from seven different presets to get the perfect cook on the most common air-fried foods, or use the timer and temperature controls to fine-tune your favorite recipes. Best part is that is cooks food evenly every time! 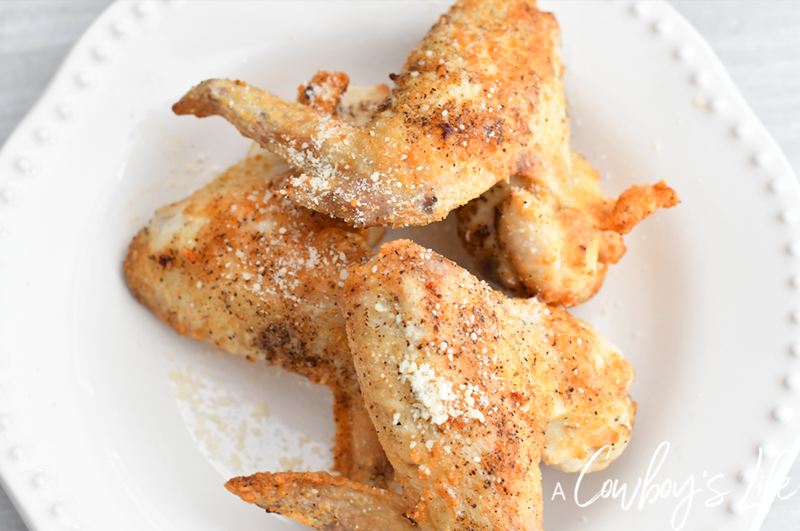 I tossed these wings in parmesan cheese, garlic, and salt & pepper. Then placed them in the air fryer for about 18 minutes and they turned out crispy and just right! Serve plain or with ranch dipping sauce. Preheat air fryer to 400 degrees for 3 minutes. In a large bowl mix together parmesan cheese, garlic, salt and pepper. Toss chicken wings in mixture until well coated. 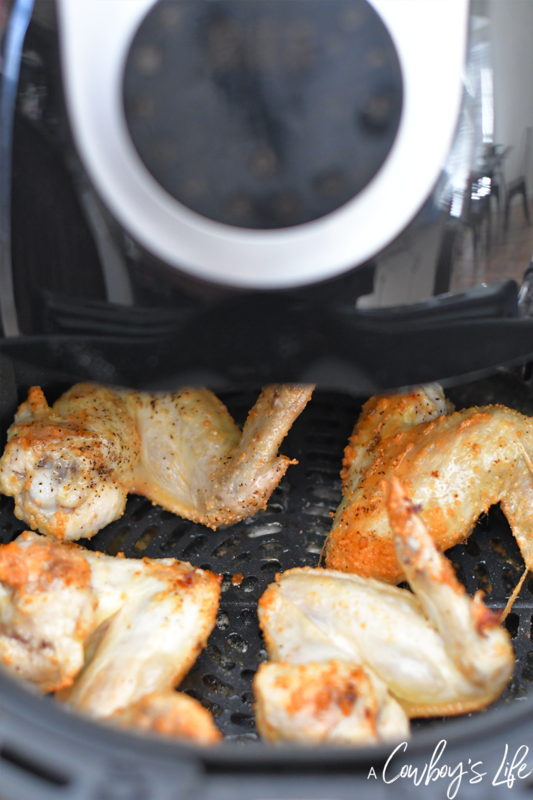 Place chicken wings in air fryer basket. Flip chicken and cook for additional 10-12 minutes. 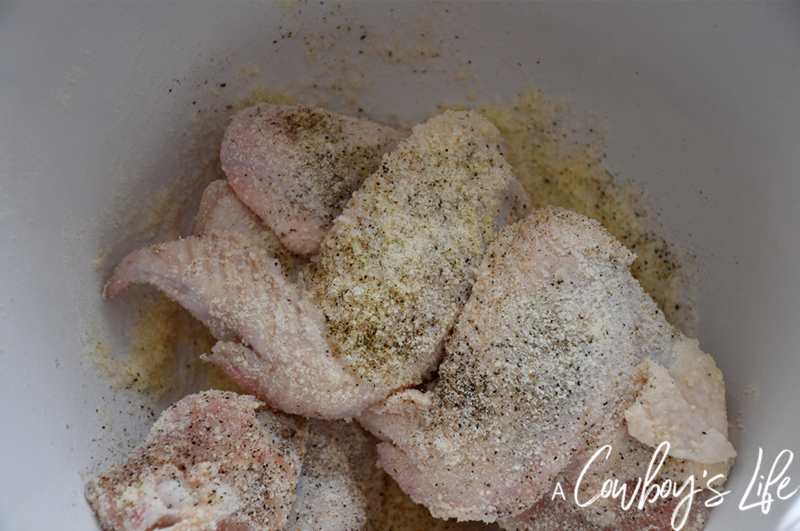 Remove chicken from basket and top with parmesan cheese. *I spray the insert pan with cooking spray before adding the chicken. It helps keep the chicken from sticking and makes the clean up a breeze. I can’t wait to make more recipes in this Magic Chef Digital XL Air Fryer. 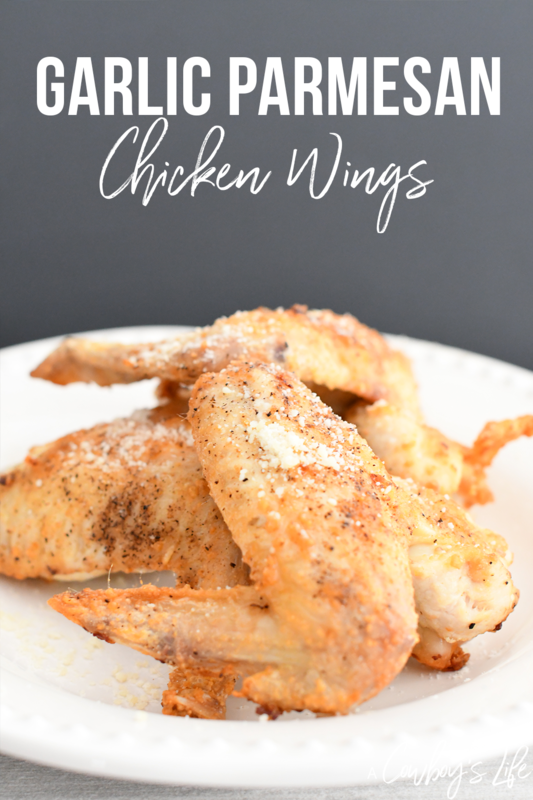 What are your favorite air fryer recipes?